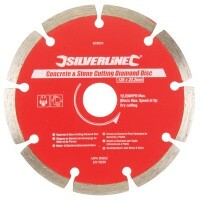 Silverline 656592 Double Row Concrete Grinding Diamond Disc Features Double row concrete ..
Silverline 807350 Mortar Raking Diamond Disc Features 2 mortar raking diamonds per pack. .. 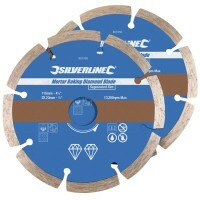 Diameter 115mm Bore size 22mm. 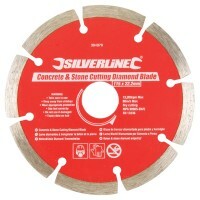 Good quality dry cutting diamond blade ideal for g.. 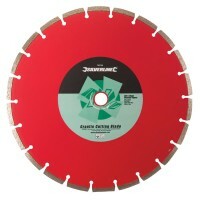 Diameter 230mm Bore size 22mm. 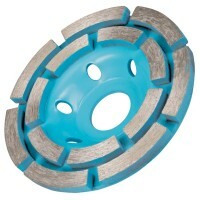 Ideal for 9 inch grinders. Good quality dry .. 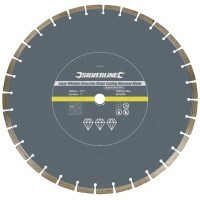 Diameter 150mm Bore size 22mm. 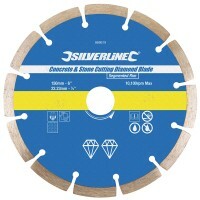 Good quality dry cutting diamond blade ideal for g.. 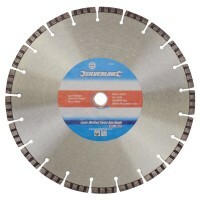 Diameter 350mm Bore size 25mm. 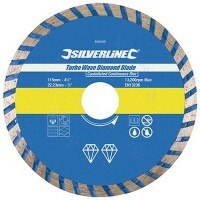 Good quality dry cutting diamond blade ideal for g..
Silverline 633588 Turbo Wave Diamond Cutting Blade Features Size 230mm x 22mm bore will f..
Silverline 868588 Turbo Wave Diamond Cutting Blade Features Size 115mm x 22mm bore. 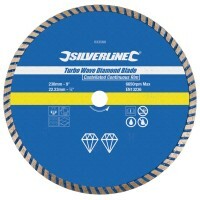 ..
Silverline 675104 Turbo Wave Diamond Cutting Blade Features 300mm x 20mm. 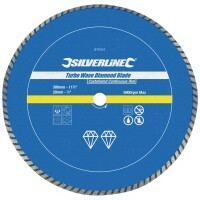 Turbo wav..
Silverline 675215 Laser Welded Diamond Cutting Blade Features 450mm x 25.4mm. 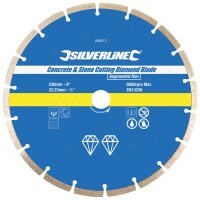 Profe..
Silverline 793769 Granite Diamond Cutting Blade Disc Features Size 300mm x 20mm. 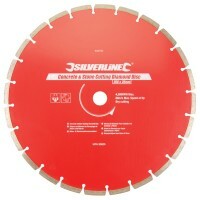 Pr..
Silverline 598461 Laser Welded Turbo Rim Blade Features Size 230mm x 22mm bore. 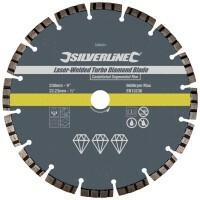 Pro..
Silverline 196524 Laser Welded Turbo Rim Blade Features Size 300mm x 20mm bore. 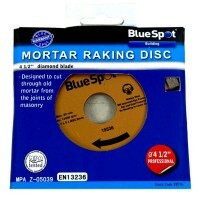 Pro..
Blue Spot Diamond Mortar Raking Disc Features Diameter 115 mm (4 1/2in). Bore size ..